Preferred Name: Whatever you like. God. I always did like the conjunction of 'The Lock' and Smith. It's popular, not common. Nickname: Not a big deal in my generation to have a nickname, so alas I am without. Screen Name: mastersmith- because I've been around long enough to know it all........I'm just not smart enough to know it all! Preferred - Squirrel, You, Hey You, Captain. I guess this isn't Necro-posting as it is a sticky. My name is Chris no one calls me by any nicknames. I'm a newbie. 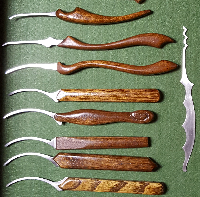 I just ordered a basic lockpick set and a few practice locks. They haven't even arrived in the mail yet. I'm sure I will have many many questions. I am mechanically inclined, in my current job I repair printers, copiers, fax machines, garment printers, etc.